Dave Harrington is a multi-instrumentalist, producer, and DJ. Best known for his work with DARKSIDE and Nicolas Jaar, Harrington has carved out a space for himself at the intersection of improvisation and electronic music, where spontaneous and psychedelic music can feel equally at home in both techno and free jazz. 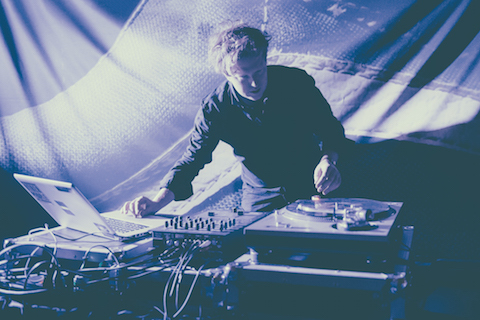 He brings this freewheeling spirit to his DJ sets playing largely his own remixes and edits along with on the spot live programming and improvising with analog electronics, crafting sets that exist somewhere between DJ and Live. In April 2016 Dave released his debut LP as the Dave Harrington Group, 'Become Alive'. The record, issued by Nicolas Jaar’s label Other People, is a psychedelic and experimental trip resulting from lengthly recording sessions with friends and Dave's signature post-production. From the numerous musicians involved, a core group are touring and re-creating the album's material live throughout the year.